With busy weekend activities, sporting events, and altered work schedules out of the way, we were finally able to celebrate Valentine’s Day on Sunday. The suggestion of a nice dinner at a favorite restaurant was a welcome treat. While dinner was taken care of by the restaurant staff, we decided to choose a movie and gather at home to share a homemade chocolatey dessert. This is a great last minute recipe as there are only three ingredients involved. Water, cake mix and premium cocoa. That’s it. The light airy texture of the angel food cake, mixed with the rich chocolate flavor of the cocoa make for a delicious valentine treat. A few scoops of French vanilla ice cream and a scattering of berries make this dessert a bit more decadent. What a wonderful way to spend a quiet evening with the family! Preheat the oven according to cake mix package directions. 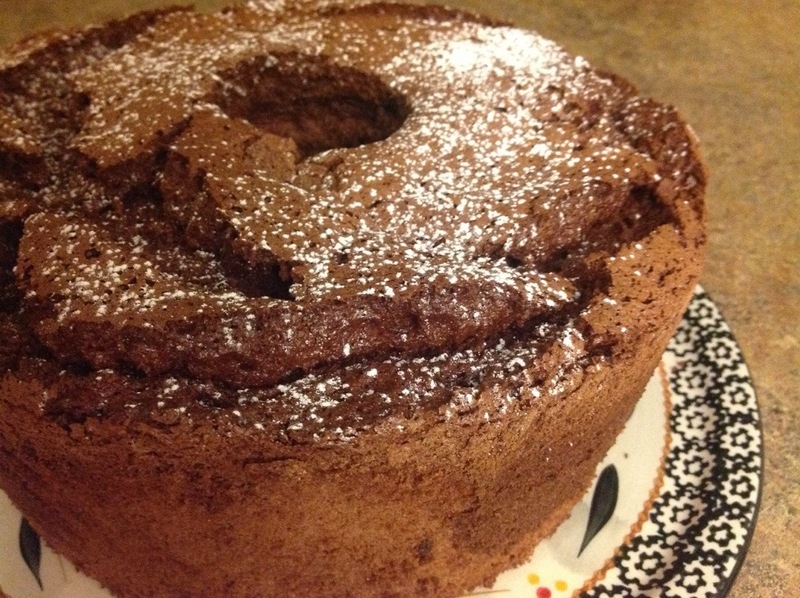 In a large bowl, carefully combine cocoa with angel food cake mix. Prepare and bake the cake mix according to package directions. Finish cake by drizzling with icing or sprinkling with powdered sugar; garnish with berries. The secret is in the lightness. You seem to have mastered that! Adding the cocoa before hand and whipping the batter as directed is really important. Thanks for stopping by! Enjoy your day. Mixing bowls…biscuit bowls…I love ’em all! Your biscuit bowl looks delicious. I’ll be visiting your site often. Have a good day! Linda, What a beautiful cake. 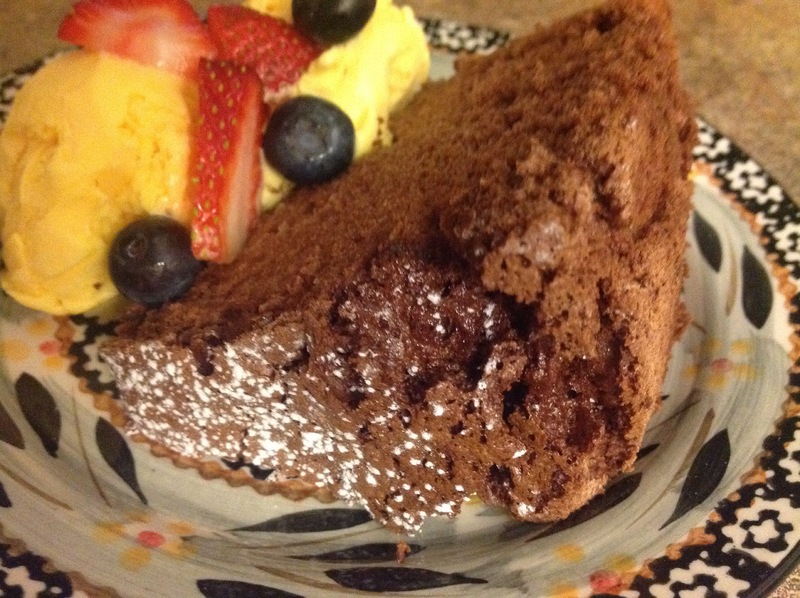 Light, fluffy, healthy and filled with cocoa delight. During my undergraduate studies, my friend and I discovered that you can make a cake – a delicious one – with a big can of pineapple (including the juice!) and a box of angel food cake mix. Too bad we did not know this recipe – chocolate, berries, whipped cream – not much better than that. Glad to hear you had a lovely, relaxing Sunday with your loved ones! Yes, an easy sweet treat would be nice, wouldn’t it? Thanks for your comment… Have a great day!